Oily wastes such as used oil absorbent and used oil filters are managed in accordance with applicable rules. ​Even after a used oil filter has been drained for many hours, several ounces of oil remain trapped in the filter. This oil may leach out and contaminate ground or surface water. Oily wastes can have a detrimental effect on the environment if improper disposed or exposed to the weather elements. Used oil filters are banned from Iowa landfills. Additionally, changes to Iowa Code 455D.13 during the 2008 legislative session requires retailers that sell oil filters to accept used oil filters or post a sign informing the public of the nearest used oil filter collection site. Oily wastes such as used oil absorbent like clay granules, kitty litter, oil mats or socks can be hazardous due to the contaminants that were absorbed. These wastes must be categorized as hazardous or non-hazardous waste to determine acceptable on and off-site management practices. A representative sample of oily waste should be sent to an analytical laboratory for testing using the TCLP methodology for the parameters recommended in the Licensing and Regulatory Standards section of this certification manual. 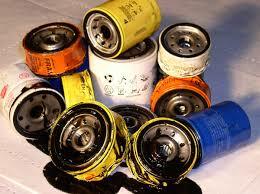 1) Do NOT dispose of used oil filters in the dumpster that goes to a landfill. 2) Test oily waste to determine if it is hazardous waste. 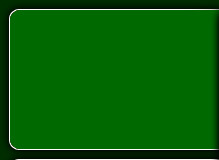 3) Manage hazardous oily waste according to hazardous waste management rules.